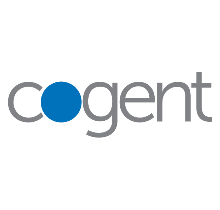 Cogent is a multinational Tier 1 Internet Service Provider consistently ranked as one of the top five networks in the world. Our primary service offering consists of Internet access and data transport, offered over our award-winning fiber optic, IP data-only network, along with colocation in any of our 44 Internet data centers. We service two customer segments: "Corporate" (small businesses to Fortune 100 companies) and "NetCentric" (Carriers / Service Providers and Application / Content Providers, whose businesses rely primarily on Internet access).